Luke Anderson began dancing with the Cache Valley Civic Ballet in 2002. He has primarily studied ballet under Sandy Emile, although he has also attended numerous dance intensives and workshops specializing in a variety of styles. Luke is also an instructor and choreographer at CVCB. His many roles include the Snow King, Rose Prince, and Cavalier from the Nutcracker, the role of Prince in The Firebird, Cinderella and Sleeping Beauty, as well as Jon in Dracula and Franz in Coppelia. He has also performed with the Inishfre Irish Dance Company. Outside of dance, Luke is an engineer having earned an MS in Mechanical Engineering from Utah State University, where he is currently working towards a second Master’s in Electrical Engineering. Brittany Bailey has been dancing for over 18 years. She studied at Clytie Adams School of Ballet, BYU-Idaho, and from Patricia Dienhart. Brittany has danced in over 10 Nutcracker performances & over 18 ballet productions. Brittany has also performed on multiple collegiate teams and toured New England & Canada with the BYU-Idaho Dance Alliance Team. Brittany enjoys sharing her love of ballet by teaching others and helping them to find the joy that dance brings into life. Kelly Bateman, a member of the Cache Valley Civic Ballet, has studied with the School of Ballet for fifteen years. She has participated in two Brindusa-Moore Ballet summer intensive programs, and has taken master classes with Royal Winnipeg, Santa Fe, and American School of Ballet. She also performs with musical theater companies including Music Theatre West and Celebrate America. She is excited to begin teaching this year with CVSB. Steffanie Casperson was trained by famous dancers and ballerinas like Marjorie Tallchief, Violette Verdy, and Maria Tallchief. She attended The Harid Conservatory for high school and was awarded full scholarships to both the School of American Ballet in New York City's summer program and Pacific Northwest Ballet's summer and year round programs. As a student she performed and toured with Pacific Northwest Ballet, and professionally she danced with the Hartford Ballet and Ballet West. During that time she performed in a great number of famous ballets including: "La Sylphide" (she performed a soloist role and was chosen to understudy the lead role), "The Nutcracker," "Giselle," "Swan Lake," "Romeo and Juliet," "Sleeping Beauty," and "Cinderella"; ballets by George Balanchine including "The Four Temperaments" (performing the First Theme pas de deux), "Theme and Variations," "Serenade," and "A Midsummer Night's Dream"; and a number of more contemporary ballets including "Lamborena," "Book of Alleged Dances," and "Polish Pieces." Steffanie has 4 children and still enjoys sharing her passion for ballet with students and audiences. Anastasia Coleman photo and bio coming soon. Becky Erickson has performed for many civic and professional dance industries, including Cache Community Theatre, Valley Dance Ensemble, Fox 13th's "So You Think You Can Dance" competing in Vegas on National TV, touring with Inishfre Irish Dance, and of course all of our Cache Valley Civic Ballet productions. She has spent the last 10 years expanding her experience in dance through the following organizations: Ballet West, New York City Ballet master classes, School of American Ballet, Northwest Dance Intensive's Jehrin Alexandria along with Stephanie Saland (NYCB), Philip Beamish (world recognized ballet master), Elena Maleshevskya (Vagonava trained out of Russia), international recognized ballerina Paloma Herrera, Marsha Knight (University of Wyoming), Jason Celaya (Broadway), and David Scott (International performer). Becky is also a professional judge for competitions around Utah including the "Utah Dance Fest" Judging and performing as the featured guest judge. She choreographed an entire musical at the age of 18 and was contacted by the University of Utah to "use her moves." Becky has appeared at many schools and libraries throughout Cache Valley, reading to and educating children about Classical Ballet in hopes to inspire the next generation. She has been teaching since the summer of 2001, both in private and group settings including home schooled children events/private lessons and classes as large as 35 students. Becky is highly sought after to teach Master classes at the University level and at the advanced youth level. Becky specializes in the following: Audition and Confidence training, Turnout/Foot/Ankle/Core Strength training, and Choreography; setting many pieces that have taken 1st place in competitions and pieces that have been performed in front of thousands of people. She loves the students she teaches and helps them to overcome challenges both in dance and in Life as a whole. She has three beautiful children and a handsome altruistic husband. Recently she was the cover model for the book titled Dance Across the USA. As well as having the honor of being selected out of over 3000 dancers that applied; Becky is found as a featured dancer on two pages of the book in addition to the cover. Karyn Hansen, a native of Cache Valley, has performed with the Cache Valley Civic Ballet Company since 1990. She began dancing at the age of three, learning a range of dance styles such as tap, jazz, modern, and ballroom, along with classical ballet. Karyn has danced in a variety of leading roles for the Cache Valley Civic Ballet, some of which include: Sugar Plum Fairy and Snow Queen in the “Nutcracker”; Fairy of the Golden Vine in “Sleeping Beauty”; Mina in “Dracula”; Hermia in “A Mid-Summer Night’s Dream”; and Nightingale in “Firebird”. She has also performed with the Utah Festival Opera, American Festival Chorus, Sky View Ballroom Dance Team and the Drama Club, and professionally with a ballroom dance troupe. Karyn has studied primarily with Sandra Emile and has taken technique and master classes from Ballet West’s Peter Christy and Jeff Rogers, New York City Ballet’s Jonathan Strafford, Royale Winnapeg, Snowy Range, Ririe-Woodbury Dance, and School of American Ballet. She has also attended the Snowy Range Dance Festival and received training from several distinguished dance institutes such as Joffery Ballet, Richmond Ballet, and Dance Theatre of Harlem. Karyn is the Administor for the Cache Valley School of Ballet; she also teaches all levels of ballet technique and beginning to advanced pointe classes for the School. Karyn also enjoys doing choreography and has choreographed many pieces which have been performed in “The Nutcracker”, “Sleeping Beauty”, and “Choreographer’s Showcase”. She has also assisted in judging the Cache Valley Civic Ballet Company’s public and company auditions. When Karyn isn’t teaching or dancing, she enjoys spending time with her husband and two kids. Christa Harding started teaching dance for Provo community schools over 20 years ago. She has a background in ballet technique and performance from Rocky Mountain Ballet under the direction of Connie Burton. She furthered her dance education at Utah Valley University under Jacqueline Colledge in Ballet and Lisa Stoddard in Jazz Technique. She has taught and choreographed for Utah Academy of dance in Orem where she credits her Jazz and Lyrical background from Rhonda Sevey. She was a member of and choreographer for Orem High School Dance Company. She has participated in many competitions both as a dancer and choreographer. She taught Ballet and Jazz for three years at Stars Dance in Clearfield and four years at ADA in Hyrum. She continues her dance education at Cache Valley School of Ballet and has choreographed for Cache Civic Ballet’s Choreographer’s Showcase. She has a passion for dance and loves to see her students feel a sense of accomplishment as they work hard to achieve their goals. Britnie Jenkins has danced with the Cache Valley Civic Ballet for several years and had studied with the Cache Valley School of Ballet primarily under Sandra Emile, Karyn Hansen, and Pamela Kirschman. She has taken master classes from the Santa Fe Ballet, Marsha Knight, and attended the Brindusa Moore summer intensive. She also assisted teaching creative movement to children at the Cache Valley Center for the Arts Summer Camp. And has also performed with Sky View High School and Music Theatre West in their musical productions. Roles she has enjoyed dancing are Snow Princess, Spanish Lead, and Marzipan Lead in the Nutcracker, the Fairy of the Wildflowers in Sleeping Beauty, and Beauty in Beauty and the Beast. She is excited to be teaching with the School of Ballet again!! Pamela Kirschman fell in love with teaching before graduating with a degree in Dance and History Education, and has been enjoying her career for 25 years. She has performed with several dance companies and theatre groups. Her choreography has grown over the years to include musical theatre, adaptations of classical works, and original choreography for the ballets Hansel and Gretel and Carnival of the Animals. She has taught all ages in classes across the country from Utah and Idaho to Vermont and Oklahoma. She loves ballet and modern dance and wants her students to enjoy it as much as she does, infusing her classes with challenge and fun! Augustine Larsen started dancing at the age of 4. Since moving to Utah, she has studied and danced with the Cache Valley Civic Ballet. She has performed with and choreographed for the CVCB as well as several performing groups at Sky View and Green Canyon High Schools. Notable roles in CVCB productions have included the Arabian Princess and Snow Princess in the Nutcracker, and Lucy in Dracula. Augustine is studying Psychology at Utah State University. She loves helping others overcome challenges, and is committed to instilling self-esteem and a love of ballet in her students. She is happy to be teaching with the School of Ballet! Jaime Lindley original member of the Cache Valley Civic Ballet and is currently serving on the CVCB Board of Directors; studied with Joan Vendell, Sandra Emile, Maggi Moar, and Burch Mann. Has attended the Dance West workshop and performanced with Festival of the American West as well as attending the Snowy Range Summer Dance for teachers. She has previously taught with the Cache Valley School of Ballet and is excited to begin teaching again in the fall. Hanna Matthias, a Cache Valley native, has been dancing for most of her life. She began lessons when she was three and joined the Cache Valley Civic Ballet in 2006. Hanna has enjoyed her time with the ballet and has had the opportunity to play many roles, including: the Dewdrop Princess, Marzipan Soloist, Dancing Doll and Sugar Plum Fairy in The Nutcracker; Princess Aurora, in The Sleeping Beauty; the Demoness, in Firebird; and Cinderella in Cinderella. 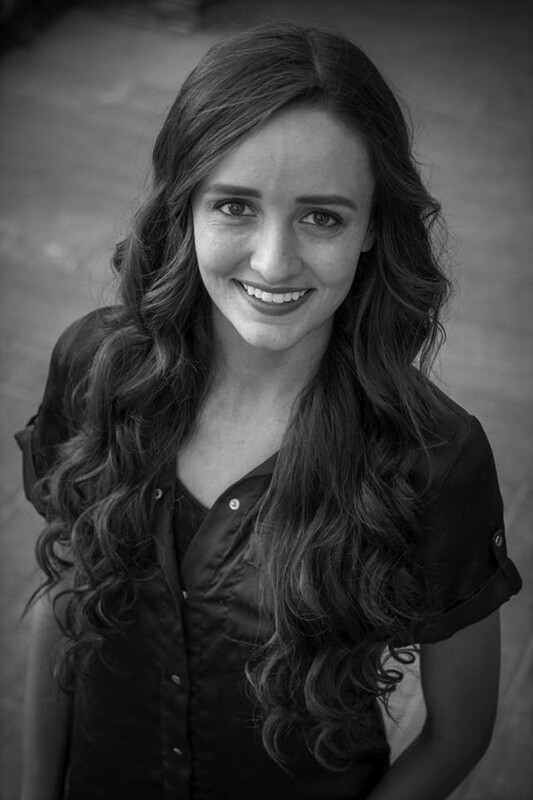 Hanna has primarily studied under Sandra Emile, the Artistic Director for the Cache Valley Civic Ballet. She has also studied with Sergiu Brindusa and Beth Moore of the Brindusa-Moore Ballet Company in Pocatello, Idaho, and has attended summer intensive programs at Brigham Young University and Ballet West Academy. She is currently attending Utah State University pursuing a degree in Nutrition and Dietetics. Natalie Robbins has been teaching with the Cache Valley School of Ballet for over 16 years and has loved every minute. In attrition to teaching she is a former member of the Cache Valley Civic Ballet. She has had several parts in the Nutcracker from Snow Princess, Doll, Spanish, and Marzipan leads. Her two favorite roles were Cinderella and Coppelia. Natalie has trained at the Ballet West Conservatory, The Christiansen Academy under Williams Christiansen. She has done Summer workshops with RDT, and Ririe Woodbury. Natalie has performed in the Ballet West Nutcracker, American West, Cache Community Theatre, USU Sunburst Dancer, Inishfre Irish Dance Company. She has loved being a part of both the Ballet School and the Ballet Company and loved studying under Maggie Moar and Sandra Emile. Vivian Taylor began her technical ballet training more than 25 years ago. The larger part of her performing years have been with Cache Valley Civic Ballet, dancing roles such as Sugar Plum Fairy in Nutcracker, Lilac Fairy in Sleeping Beauty and Godmother to Cinderella. She has also enjoyed the opportunity to perform with Dance West, Cache Community Theatre, Festival of the American West, African Drum and Dance, and Valley Dance Ensemble. Her diverse background in movement enables her to approach performing arts with a broad perspective and enjoys being invited to Choreograph for CVCB company members in their annual showcase. Her most influential instruction has been under Sandra Emile, Maggie Moar, Marsha Knight and Jan Jacobsen. Her most recent experiences have involved taking classes from Ballet West company members, participating in an AileyII master class and training in the Progressing Ballet Technique. Vivian is also a STOTT Pilates certified instructor and continues to teach and train in the method. She is passionate about helping people cultivate a love and appreciation for movement. She hopes to educate students not only in technique, but help them evolve into artists. Tami Vernon has taught for the Cache Valley School of Ballet since 1988. Her instructor training includes Virginia Tanner Dance Institute Creative Movement for Small Children, David Howard's Teaching Workshop (Seattle, WA), Snowy Range Dance Festival (2015), and Finish Jhung: Ballet Dynamics (2016). Tami has trained with Sandra Emile, Maggi Moar, Marsha Knight, Richard Richards, and Jan Jacobsen. Tami performed with the Cache Valley Civic Ballet Company for twenty years dancing in all the company's performances. Her favorite roles include Dancing Doll, Snow Princess, Spanish, and Marzipan Solo from The Nutcracker. In addition to the CVCB, Tami has performed with Cache Community Theater and USU Opera Company. Tami has also sereved on the CVCB Board of Directors. Tami loves sharing her love of ballet performance with her many students. Lexie Wallace received most of her early training at Brindusa-Moore Ballet Academy in Pocatello, Idaho. During her high school years, her family moved to Burley, Idaho where she began to expand her movement vocabulary taking classes in contemporary, jazz, lyrical, and joining her high school dance team. During this time, Lexie was given a High Honors Award from a visiting representative of The American Academy of Ballet. After graduating, Lexie traveled to Orem, Utah, where she studied through Utah Valley University's dance program, performed on one of the university's ballroom teams, and choreographed for UVU's choreography club. After receiving her associate's degree, she moved to the Cache Valley area where she is currently pursuing her bachelor's. Stephanie R. White has studied and performed with the Cache Valley School/Civic Ballet under Sandra Emile and Maggi Moar. A character dancer at heart, Stephanie has played most evil roles including the Carabosse (Sleeping Beauty), Wicked Stepmother (Cinderella), the Mouse King (Nutcracker), and Kashchei the Immortal (Firebird). She holds a master's in Education and is an adjunct professor in the Theatre Arts Department at Utah State University. Stephanie has choreographed or performed with the following companies: Cache Valley Civic Ballet, Utah Festival Opera & Musical Theatre, Lyric Theatre, USU Theatre, American Festival Chorus, Music Theatre West, etc.